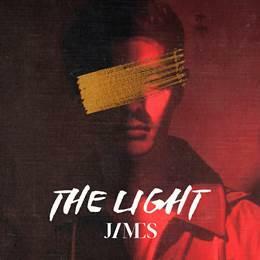 THE LIGHT EP overall is JAMES’ journey from darkness to light. After a freak accident, JAMES moved back to Los Angeles and decided to release music written post-accident in a project called ‘The Light EP’. Funding a Kickstarter campaign over 300% of the initial target has been fundamental to rehabilitation and restarting his hopes as a musician. THE LIGHT EP is the sincerest project he has ever worked on which was supported and funded by his fans. Therefore, he feels that it is important to stay true to the core of the EP which is sincerity and authentic conversation. The genre of THE LIGHT EP is much closer to Independent rock or EDM. The EP consists of 5 tracks inclusive of “Let’s Get Away” (Acoustic Version) with SNSD's SOOYOUNG, and a feature with another Korean star, f(x)'s Amber Liu for “Perfect”. His first single, “The Light” was released on 27th July. His second single “Let’s Get Away” (Acoustic Version) featuring SOOYOUNG is currently at #4 on the Spotify Malaysia Viral 50 chart, and is also featured on Spotify Viral charts in Taiwan, Indonesia, Singapore, Philippines, Hong Kong, Thailand. JAMES was a bassist for the Korean-American rock band by the name of Royal Pirates, which debuted into the world of K-pop. Sadly a devastating freak accident in 2015 changed everything for JAMES, forcing him to go on hiatus. The debilitating accident resulted in his left hand being almost chopped off and reattached with minimal function, ending his career as a worldwide touring bassist. After 5 surgeries, JAMES moved back to LA and started a kick-starter project called The LIGHT EP including music written post-accident detailing his journey since then.